How much does your IT Support for a Business cost? Does DTS repair old computers? It depends upon the age of the computer. Some computers are simply malfunctioning and a part or two can restore them to full service. Other computers are really too old to repair and would be good candidates for replacement. Our repair services are limited to clients that subscribe to our LiveWatchIT maintenance service. We do not repair computers for the general public. Does DTS offer 24hour support? 24-hour “Emergency” technical support is available to our LiveWatchIT Diamond Plan subscribers. Does DTS offer training for cyber-security? We offer cyber-security training for your employees! We also have additional services that can continually test your employees and report on the effectiveness of cyber-security training. This service is available to all our LiveWatchIT subscribers. Does DTS offer cyber-security testing for businesses? We offer cyber-security testing for companies who are members of our LiveWatchIT subscription services. Can DTS set me up to work from home? Yes! We can set you up to work from home. There may be a few conditions with respect to security, but generally, we can work with you to get you up and running from a home office or from the road. What industries does DTS support? We support ALL businesses that have a minimum of 5 employees regardless of their industry. When we have computer problems, how do we get help from DTS? We have three ways to contact us: you can pick up the phone and call us at 503.359.1275, between 8:00 am and 4:30 pm, you can send an e-mail to Support@DTSInfoTech.com and you can also submit a support request from any page on our web site. Do I have to sign a contract to get IT Support from DTS? DTS does not use contracts at this time. All of our subscriptions are month-to-month except for our Diamond (all-inclusive) tier, which requires a minimum 1-year commitment and is renewed annually. Can I stop using your services at any time? 11. When do you come onsite? Do you even come to my business in person? We will come onsite to your business if we can’t resolve your issue remotely. It saves you time and money to have issues resolved remotely wherever possible. All modern IT Support is provided remotely, it’s the first line of defense. 12. Exactly what am I paying for? You’re paying for your own IT Department to service all the technology needs your business has. You’re paying for a trusted advisor who will “advise you all things technology.” You’re paying for an IT Support company to resolve issues for you, not to make money for them. 13. Is DTS certified by the State of Oregon to do IT Support? No. IT Support is not regulated by any state or federal agency. Most people do not know it’s an unregulated industry. 14. Does DTS provide written estimates with pricing for your services? 15. Does DTS guarantee the work performed? Yes! All labor is guaranteed. Replacement parts are subject to the manufacturer warranty. 16. Does DTS build computers we can purchase? No. We use and recommend Dell computers. They’re simply too good and competitively priced to not use them. We have a special account management team at Dell who, through us, gives our clients extraordinarily good pricing on most PC purchases. 17. Is DTS open on the weekends? For our LiveWatchIT Diamond plan subscribers, we provide support on the weekends! We are not open to the general public outside of our normal weekday hours. 18. Does DTS support enterprise resource planning (ERP) software and line of business (LOB) applications? 19. Does DTS sell and support computer-based phone systems? We use and recommend 8X8 phone systems, which include a wide variety of standard desk phone models and also has software available to use your PC/Laptop as your main office phone, as well as any mobile handsets such as Android or iOS-based phones and tablets. 20. Does DTS offer support for QuickBooks? Yes! We use QuickBooks ourselves and are very familiar with best practices for keeping it running. Listed below, are numerous articles listed by Topic for you to learn even more about IT Support. We're always happy to chat about anything you have on your mind. Computer Consultant – How do I hire one? What should I do?! Computer consultant – Hire by being informed. It’s easy! Hackers Targeting Small Businesses: Now they’re after the rest of us! Data Recovery: Only $199.00! Is cheap what you really want, seriously? HIPAA compliance for small health care practices? Risk Assessment: Why is this such a big deal? Stolen passwords? I know. Again, I have to change mine, again! Virtualize your server? Critical if your building is destroyed! “Successful” Ransomware Attacks are totally UNNECESSARY. Come on people! Ransomware? Business owners never, EVER, pay ransomware! 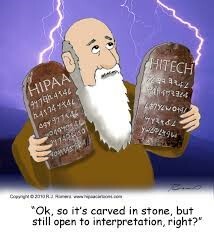 Covered Entities (CE) not complying with HIPAA is our 5th post on the subject of The History of HIPAA.